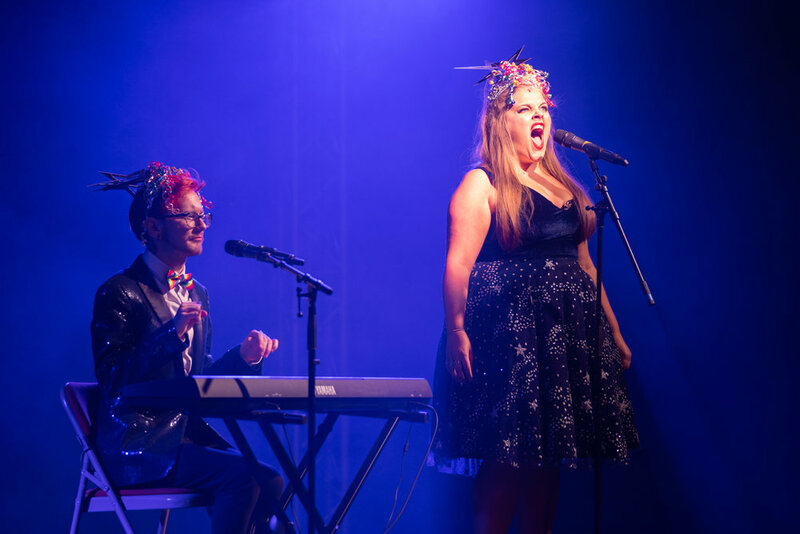 Pride’s Got Talent is the brainchild of Ian Massa-Harris-McFeely and was conceived in 2014 to ensure the existing pool of talent in the LGBT+ community were given a fair chance to take part in Pride in London and were exposed to industry recognised judges to aid them in their artistic career. The rationale is that everyone, irrespective of gender, gender history, sexuality, disability or ethnicity is encouraged to enter the competition. This ensures that there is transparency and diversity when it comes to the Pride’s Got Talent performers on the Pride stages. Check out the video below to see what it’s like to take part. Applications for 2019 are now closed. Please come and support our acts at the heats we have scheduled across London in the coming months. All entries are given the opportunity to perform in front of an industry-recognised panel. The panel will also include community reps mindful of encouraging diverse talent. Depending on their act the performer will be seen by one of the below panels. To ensure that no one is discriminated the judges will judge on talent and quality within their category as listed above. These auditions will be held in a London LGBT+ venue and will have audience members watching the competition. Each act will be asked to perform a maximum of 3 numbers. The panel might want to ask some questions after their audition. The panel and producer also reserve the right to not listen / watch full performances. The rounds will lead into a semi-final for each category with the same format as above. Finalists once again perform in front of a panel of judges. Again the final is held in front of a live audience. The winning artists, within the various categories, will then be allocated into the various stages by the Producer and will be added to the Pride programme. All finalists obtain an automatic place on one of the Pride In London stages or associated stages. First blind female TV judge appearing on BBC1’s #AllTogetherNow. Please note: Out of the winners pool the nature of the act will determine which stage or stages that act can perform in. It is also possible for an act to win a place on more than one stage. As well as being in with a chance to perform at Pride, all entrants will be performing in the heats in front of industry professionals who may also be looking for fresh new talent. There is also the opportunity for participants to be promoted to Pride in London’s followers on social media. Acts / individuals in PGT 2019 might also get the opportunity of performing in other Pride In London related events together with mentoring opportunities and possible performance opportunities.